Results from this study will identify gaps and barriers in the Kenyan health system gaps around PE/E knowledge and attitudes. 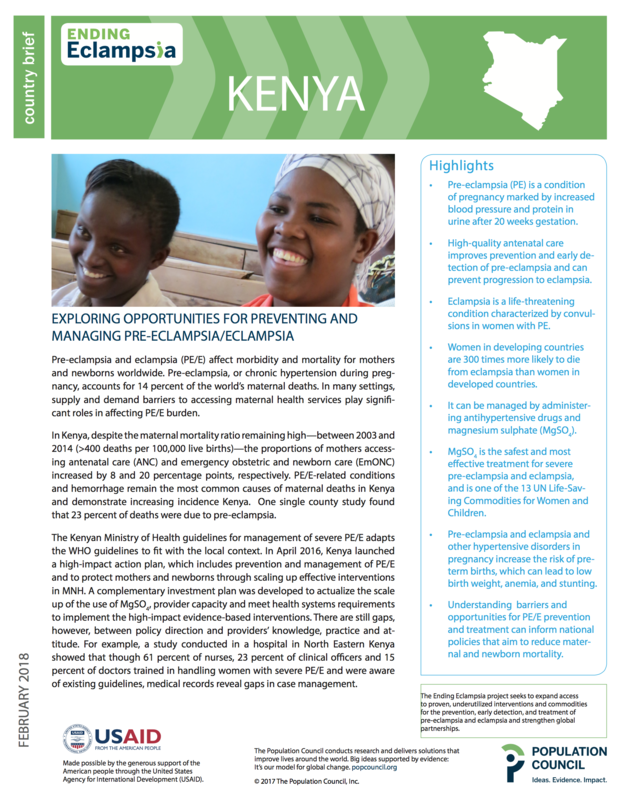 Researchers aim to enhance PE/E prevention and management, and ANC accessibility/acceptability by sharing and integrating findings with ongoing maternal and newborn health programming. Analysis of data collected in 2017 is currently ongoing and results will be shared by May 2018.